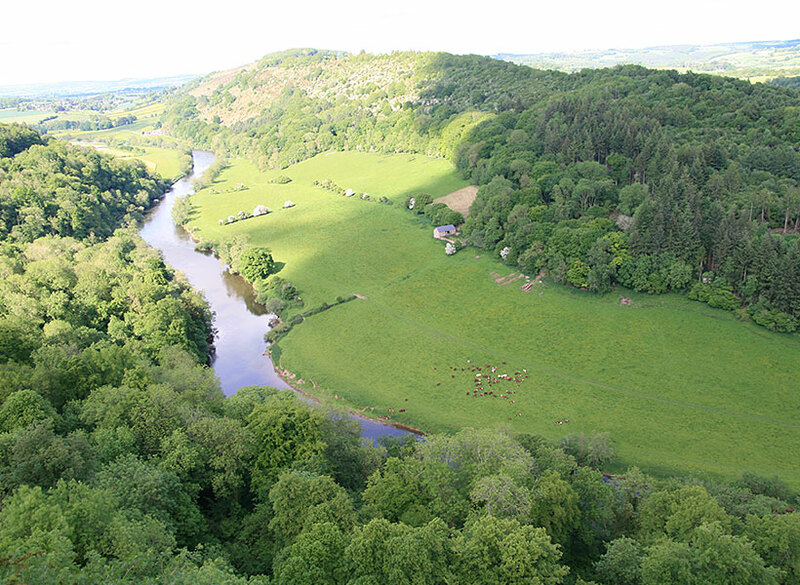 Nearly 40 young members, parents and leaders gathered for a spring camp, four nights at the stunning Biblins site in a wooded valley just below Yat Rock and right along side the river Wye. The weather was kind, if a little cold at times, it stayed dry and the sun came out to remind us how it brightens the world. 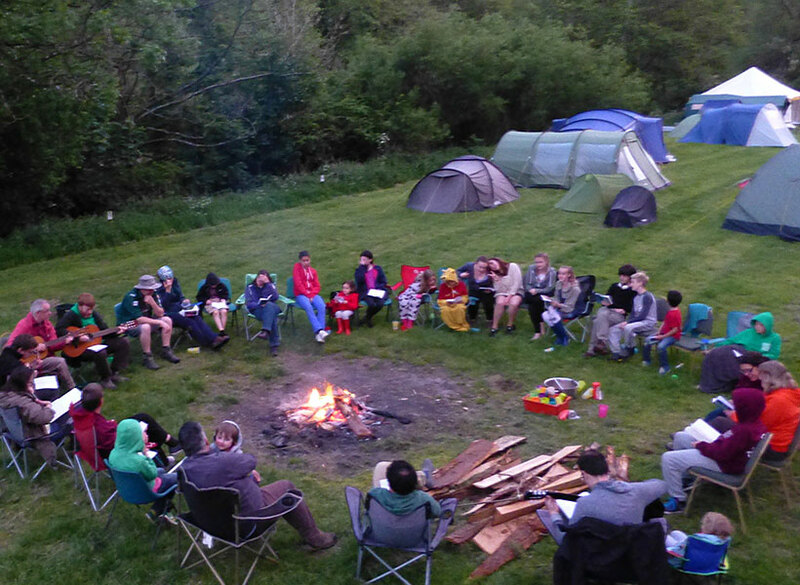 One of the features that makes a Woodcraft Folk camp different from other organisations is the mix of ages. 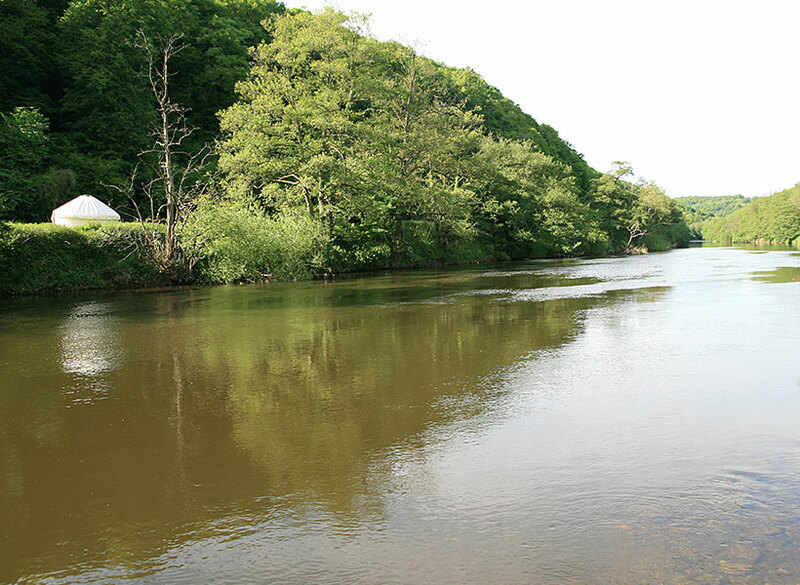 On this camp there were two Woodchips, as well as Elfins, Pioneers and Venturers. 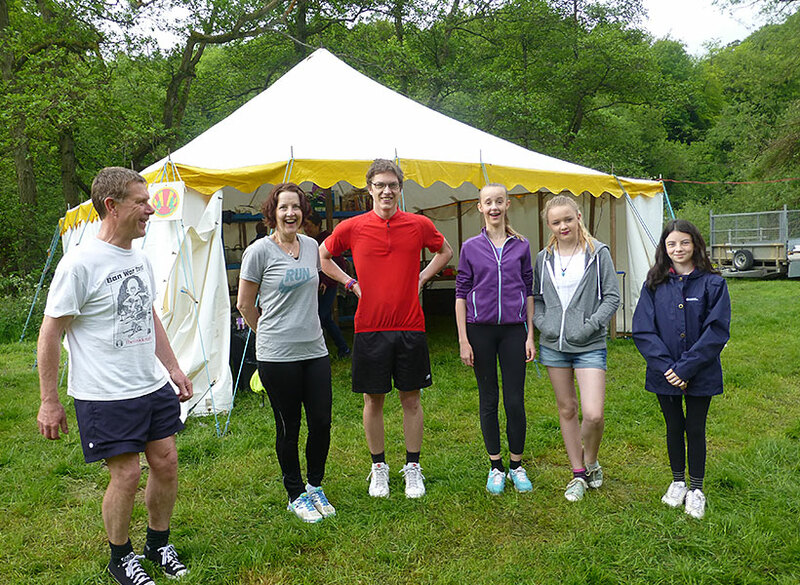 Some might worry about such a wide age difference but our experience has always been that each age group simply loves being around those much older or much younger, and this camp was no exception. Check out how well they played together in the video through this link – a game that had no adult involvement whatsoever. 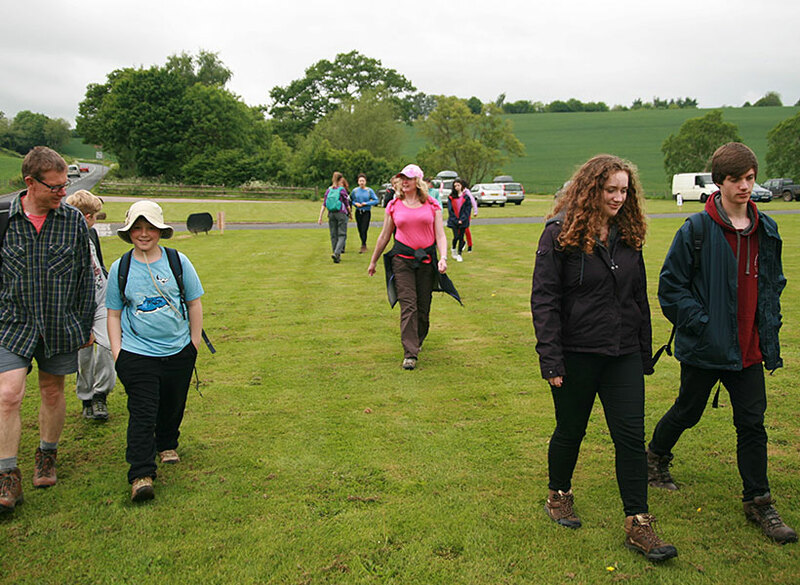 Venturers attending the camp were awarded the Leadership badge by the Venturer leaders. 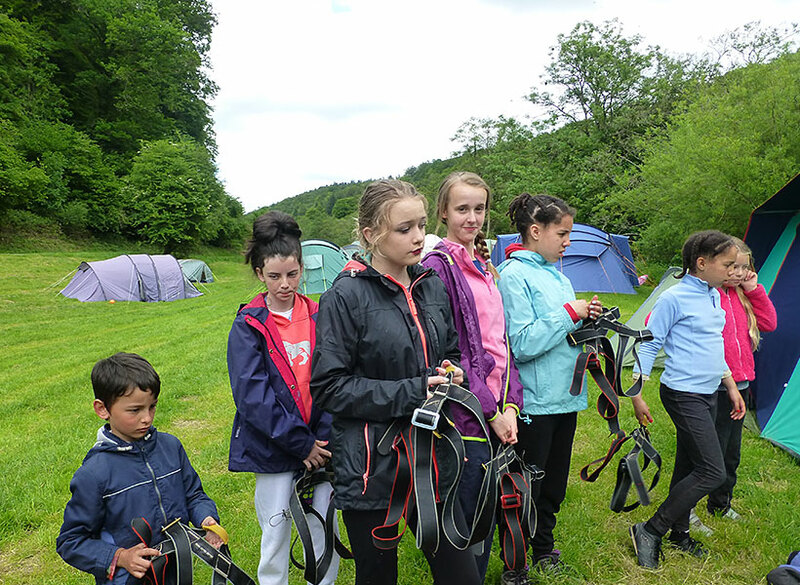 This was given out in recognition of their positive contribution to all aspects of the camp, helping with chores, participating in the activities and especially how they looked after the younger members of the group. 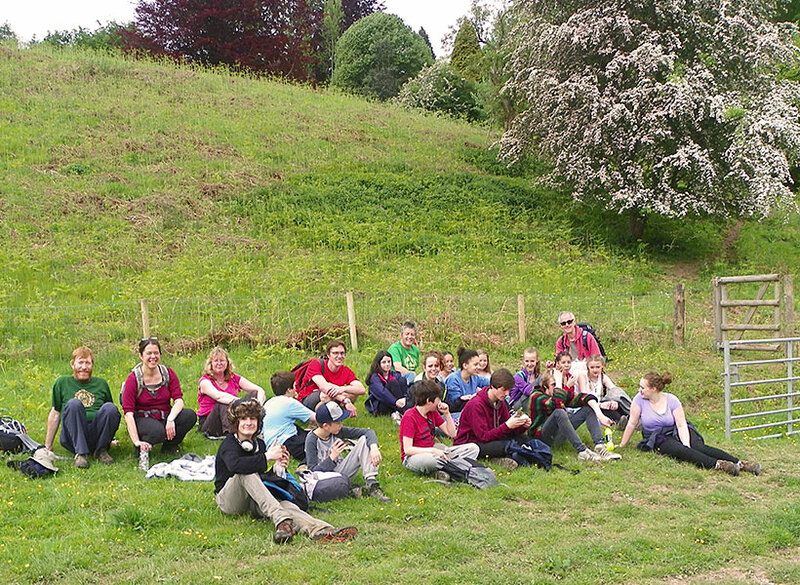 Well done to the Venturers. The day started with a racket like no other – and at 5am in the morning! 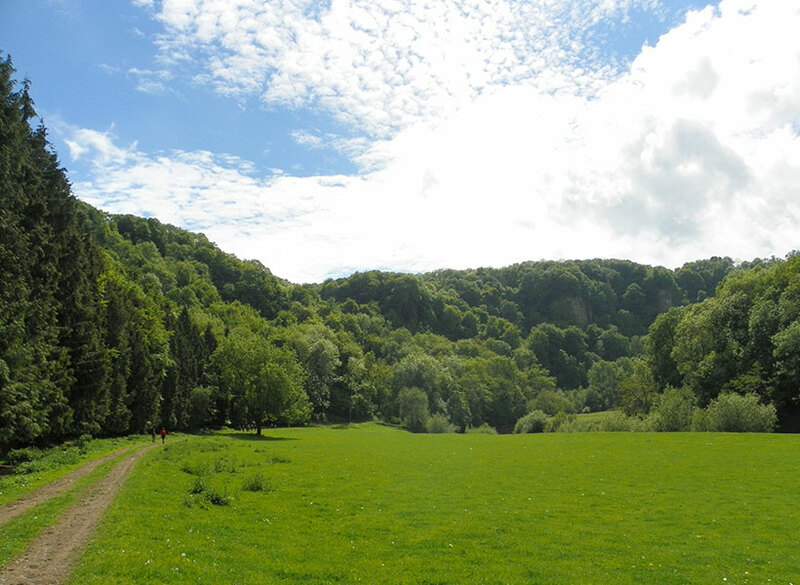 The dawn chorus at Biblins is a fantastic thing. In my tent and half asleep it felt as though I was completely immersed in bird song. I would have heard blackbirds, robins, wrens, blackcaps, chaffinch, goldfinch, thrush and lots more - all competing with each other to make this amazing cacophony of sound to mark the start of each new day. If we learned nothing else we learned that great food makes for a great camp. Our Keepers of Provender (KPs) were David and Kathryn and what a menu they provided! It was food for all tastes. Full camp breakfasts most mornings featuring eggy bready, bacon, sausages and fresh coffee. And banana porridge to die for one morning. Mouth watering lunches included carrot and chickpea salads, vegetable and lentil soup, tuna rolls and the occasional bit of grated cheese. Main meals? You bet. Chilli with home made guacamole, baked potatoes, bangers and mash with apple and summer fruit crumbles, fruit salad and yogurt and lots of cake! If all that didn't fill you up there was lush sweet cocoa, toasted marshmallows and campfire popcorn each evening for supper. 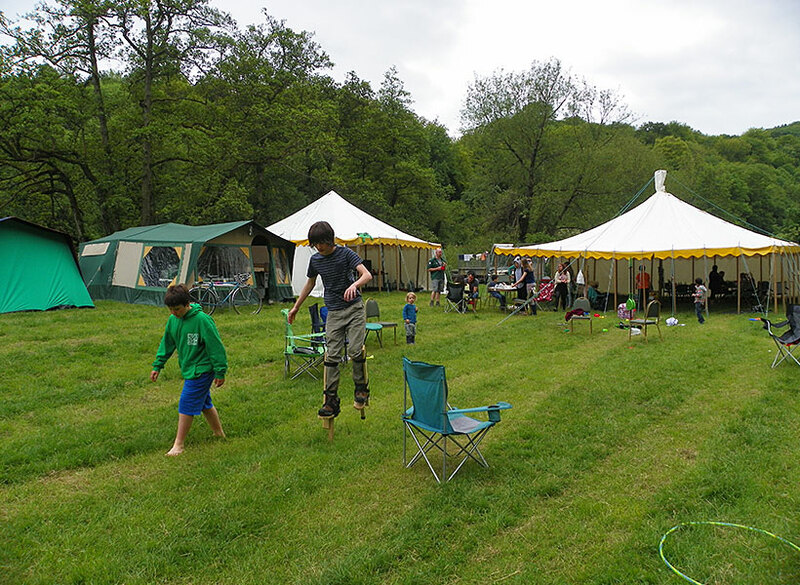 Louisa, Lee, Hugo and Amily: Having never been on a Woodcraft camp before we were very pleased to find the camp so welcoming. 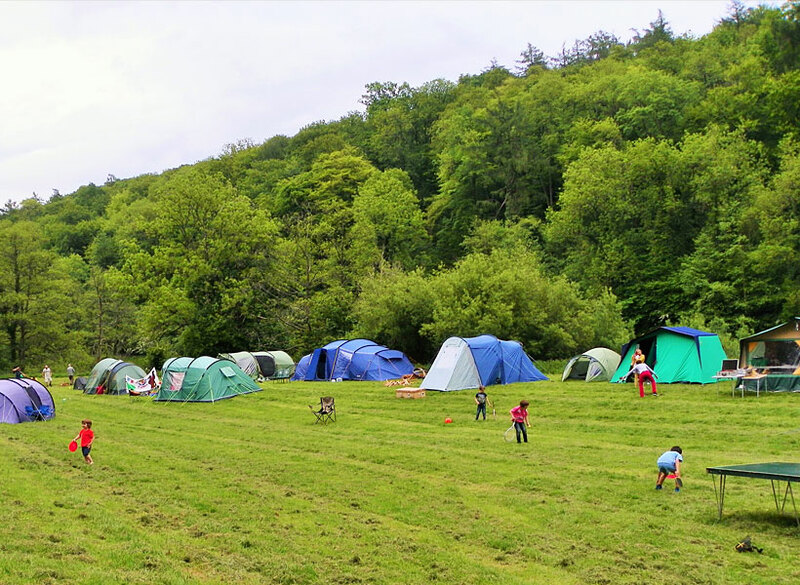 We all had a wonderful time for different reasons, but the beautiful location, amazing camp food, and the easy camaraderie were enjoyed by us all. 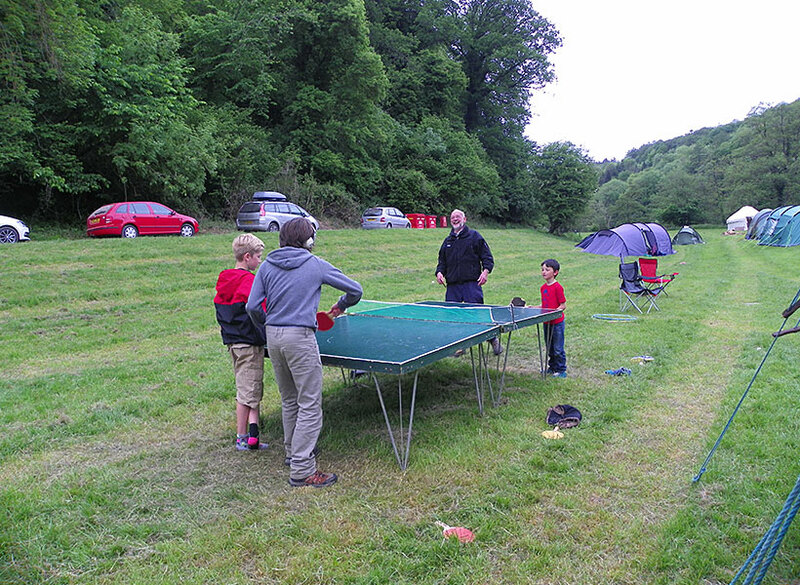 Hugo (age 6) had the time of his life, and was dressed and out the tent within 5 minutes of waking up every day! ‘This is brilliant’ was his camp mantra. 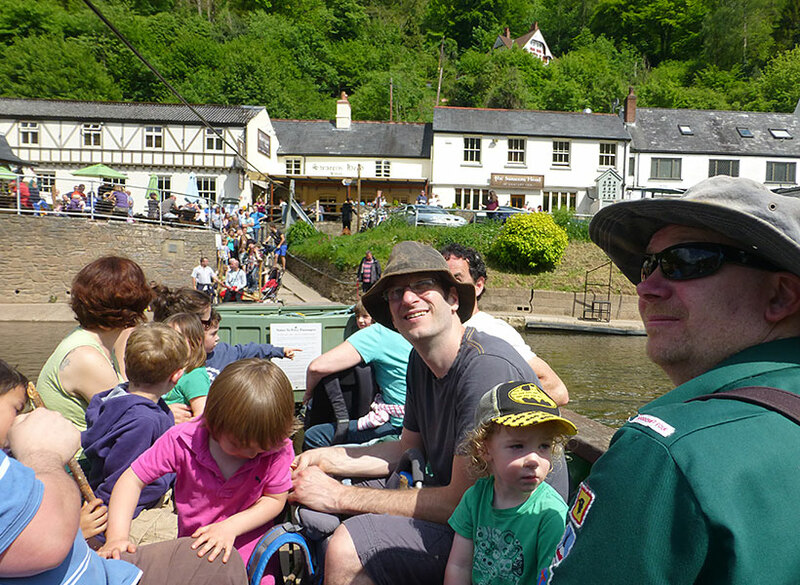 As parents it was satisfying to watch both children sharpening their social skills in such a mixed age group and trying new things– Amelie (age 3) managing the majority of our 3 mile walk, and both of them canoeing were highlights. 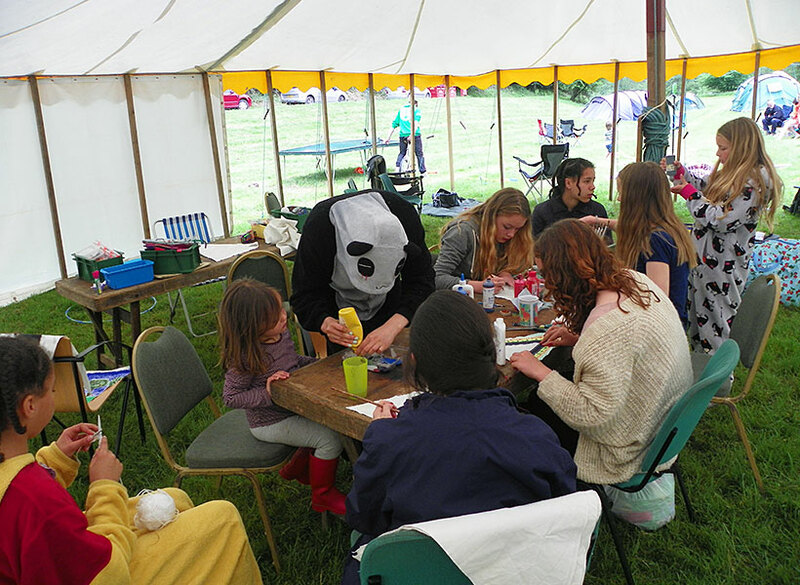 We were charmed that each person at camp was so equally important, and that from the toddlers to the adults everyone seemed to be having the kind of camp that made them happy. 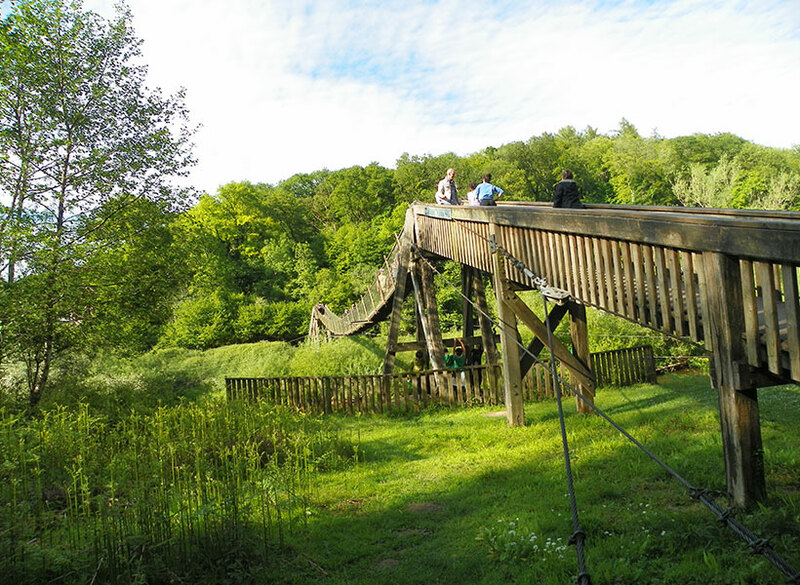 All in all a great mix of relaxation, nature, friendship, adventure and good food – we will definitely be coming again (and again, and again). 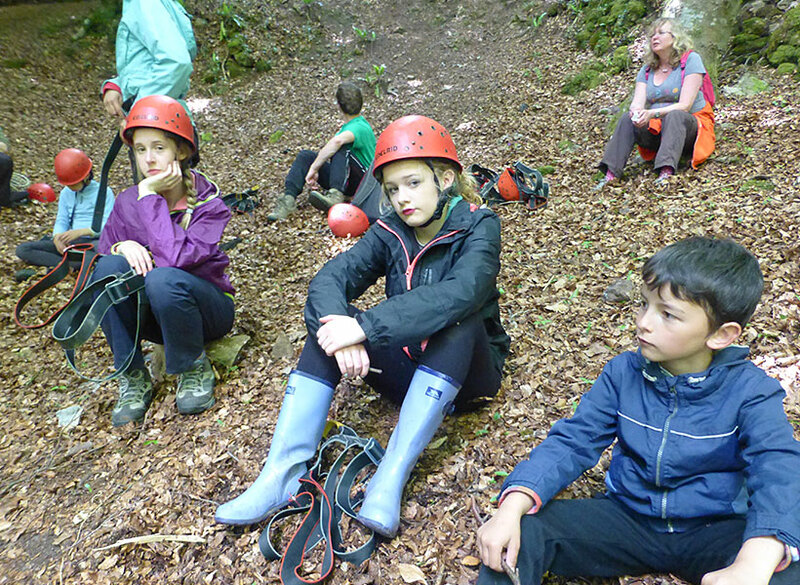 Aidan: I liked the food and the abseiling. The hot chocolate and popcorn at the camp fire was delicious. 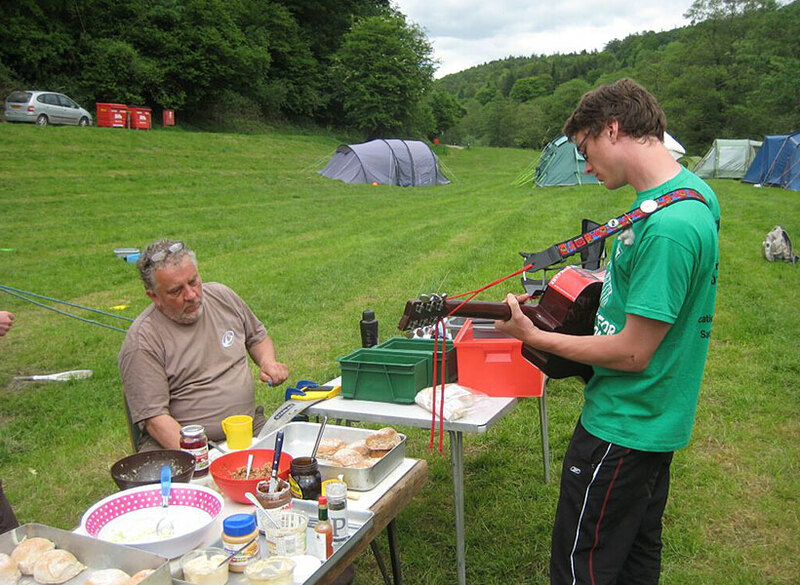 David: Singing songs and playing guitar by the campfire, playing games & hanging out; a great group of people and a lovely feeling throughout the time of the camp, a wonderful spot down by the river, quiet & cut off from phone signals; even the showers were OK! Loved the walk and the icecream. 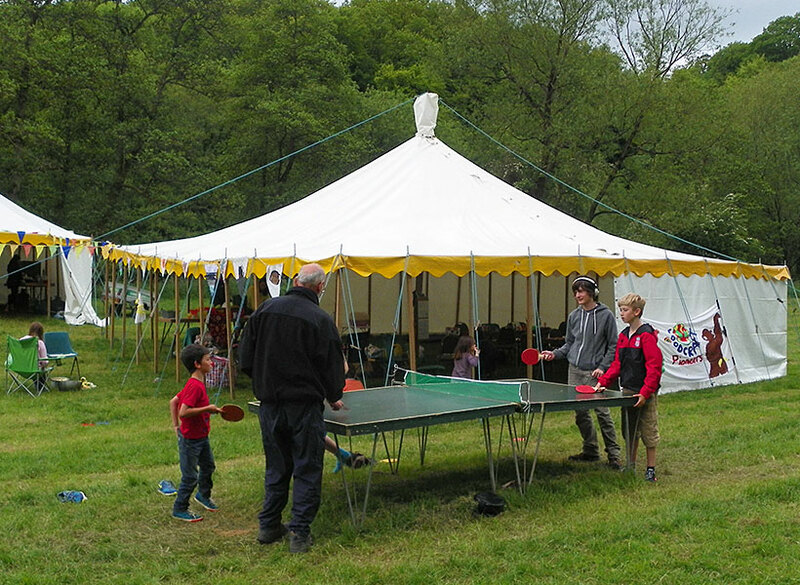 Woodcraft Folk camps provide opportunities for all sorts to happen. 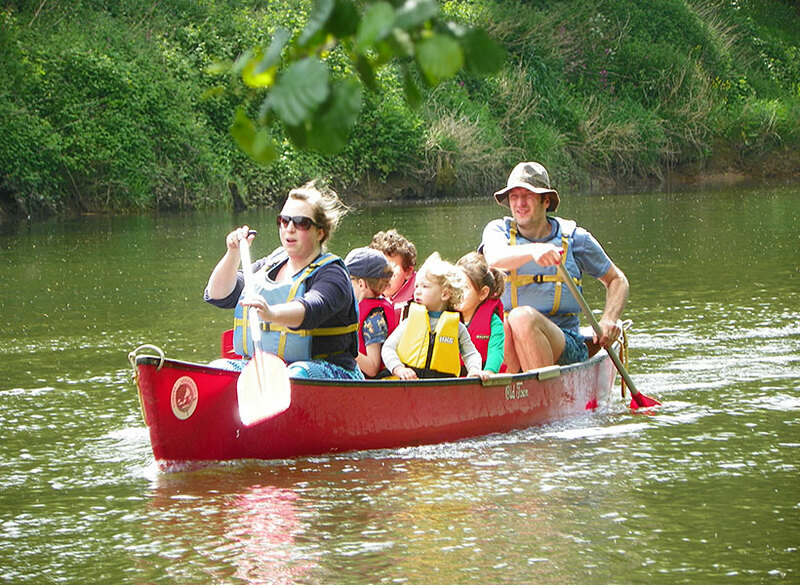 As well as the usual games, craft, walks and singsong around a camp fire our young, and not so young, members had opportunities to try out canoeing on the river Wye and to abseil into a cave! 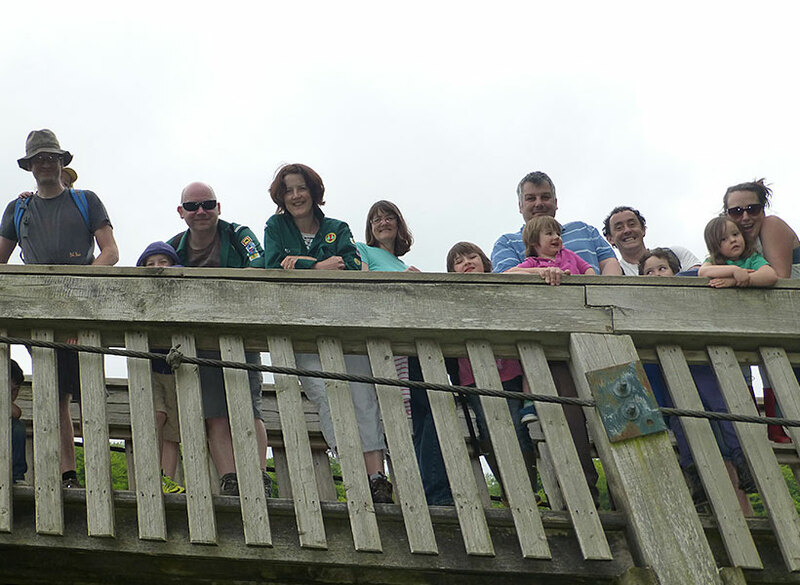 We also managed to get at least five people up on stilts, myself included (having spent 20 odd years getting our young members up and walking on them). Jasper snr took to the stilts like a duck to water. 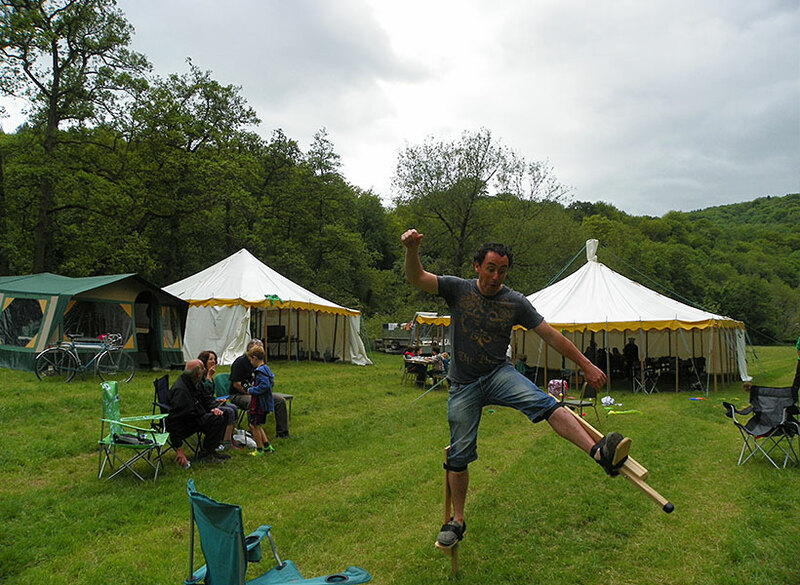 He told me he hadn't tried stilt walking before, I am not so sure. 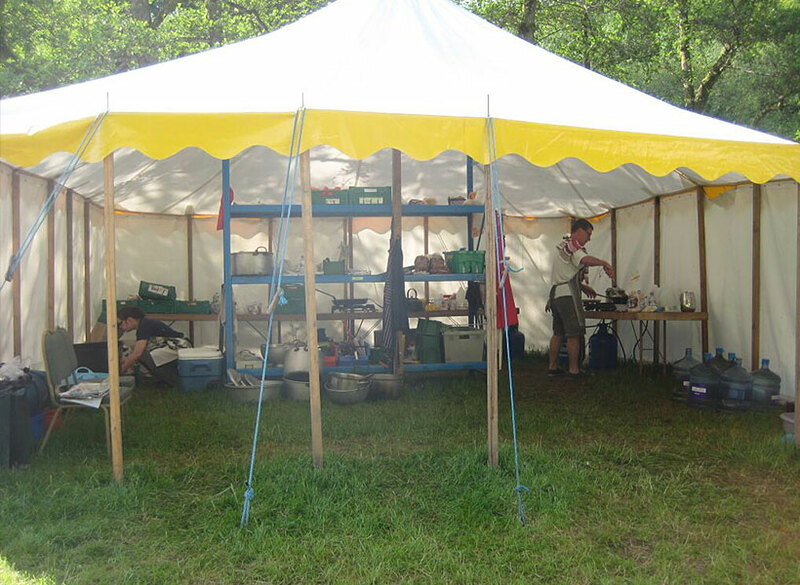 Amongst the equipment we bring camping with us is our very own Yurt. 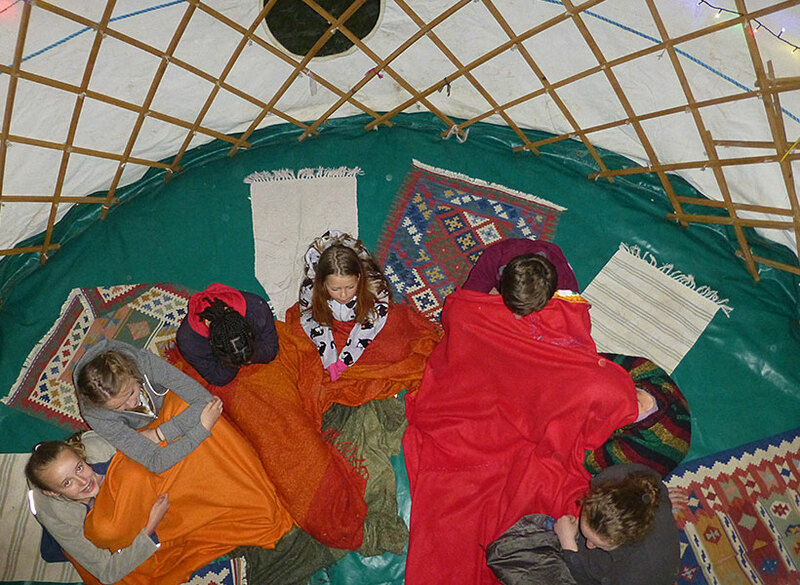 We use it to provide a very special space on camp, used by the littlies during the day to rest and recuperate and for the Venturers before their bedtime, full of rugs and lit up by Chrisman! 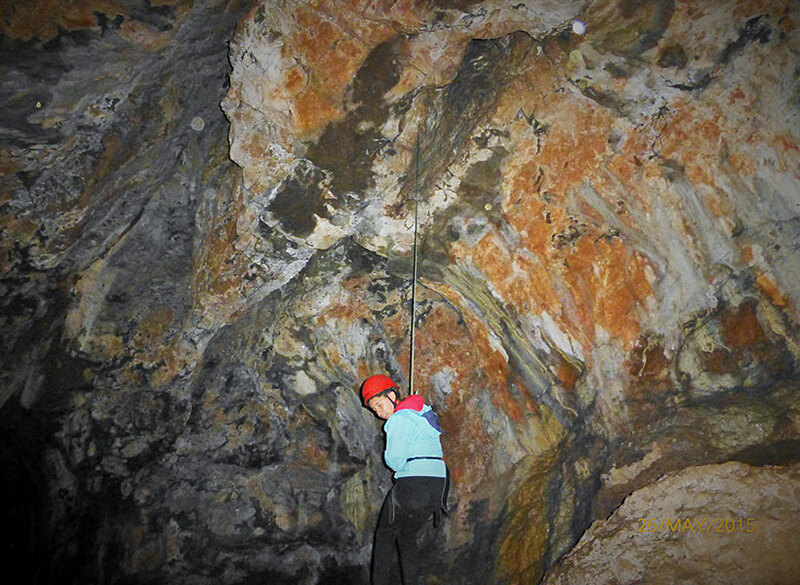 's fairy lights, the Venturers told us it certainly is a very special place.